Looking for a new Nissan near Hamden? 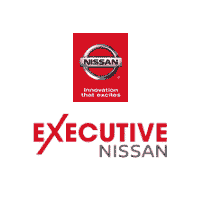 With 271 models to choose from at Executive Nissan, you’ve come to the right place. We take pride in offering New Haven drivers a large selection of new Nissan vehicles. From the capable Nissan Rogue SUV with a RearView Monitor backup camera to a new Nissan Altima with 188 hp, we’re sure to have a new vehicle for sale that suits your needs and your budget. For some incredible savings, you can participate in our Off the Wall Sales Event. Browse our vast inventory to discover the perfect new Nissan for you! 31/39 City/Highway MPG Thank you for visiting Executive Jeep Nissan. Since 1972 we have served the Hartford, New Haven, Berlin, Guilford, Wallingford and North Haven areas and have helped new car and used car buyers find the perfect vehicles to drive home in. After decades of service to our customers, we have become synonymous with providing a quality selection, excellent prices, and friendly service. Our Difference is the Key! *Price excludes state and local tax, registration fees, and dealer conveyance fee or processing fee. Internet pricing includes all incentives and rebates. Special offers and pricing can only be applied to MSRP. Once you’ve browsed our inventory, it’s time to get behind the wheel for a test drive. Contact us today to schedule your visit to our showroom in North Haven.